Are you looking for replacement of iTunes for your music library on iPhone, iPad? 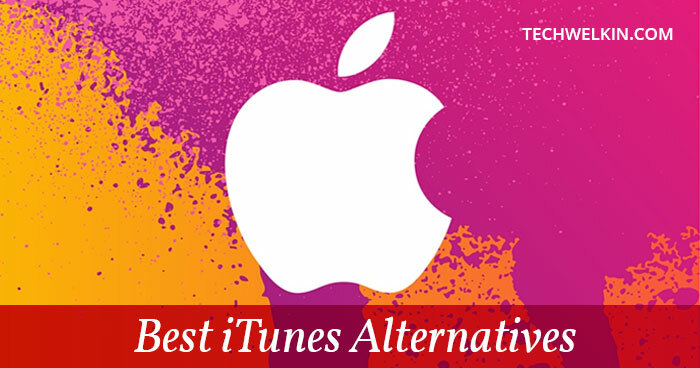 In this article we present the list of best iTunes alternatives (both free and paid) for mac, iOS and Windows platforms. All Apple users are familiar with iTunes, as it is one of the most used applications across any platform. However, when Apple moved away from the local file storage in favor of cloud-based services, the users were disappointed. Those interested only in iTunes’ media management features felt abandoned. And they started to look for iTunes alternatives, to catalog and organize their libraries. Many iTunes alternatives work fine as music players, but few are built for long-term file management. This article lists out some of the best alternatives for iTunes and the corresponding features of each. The applications featured here meet the basic requirements, some do so minimally while the others are power packed with features. The article will, of course, focus on the media player capabilities of each of these alternatives. Ecoute is one of the simplest alternatives and an extraordinary player for iOS devices for iTunes. It supports multiple audio formats. The software’s intuitive interface makes browsing smooth and easy. It includes a grid-style album picker, albums with their own sections, AirPlay compatibility, filters for search, and more. Ecoute includes podcast integration so that you need not download a separate app, the ability to shuffle albums, Last.fm support, and a night mode. It is fast enough to help you to find, what you want and start listening right away. Ecoute is free and supported on Mac and iOS. Foobar2000 is a freeware audio player and known for its modular design and features. Its user-interface is completely customizable. Foobar2000 supports a large number of audio file formats, has many features for organizing metadata, files, and folders, and has a converter interface to use with the command line encoders. To maximize the audio fidelity in cases where re-sampling or downscaling in bit depth is required, it provides noise shaping and dithering. Foobar2000 supports open component architecture, allowing third-party developers to extend functionality of the player. It supports iOS, Windows and Android phones. 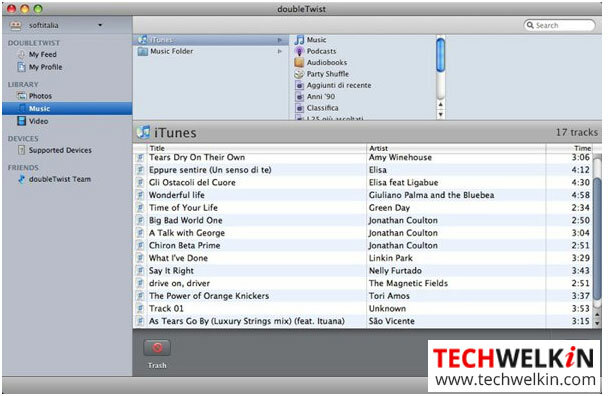 Wondershare TunesGo is an app to manage the contents of your iOS device and iTunes library. 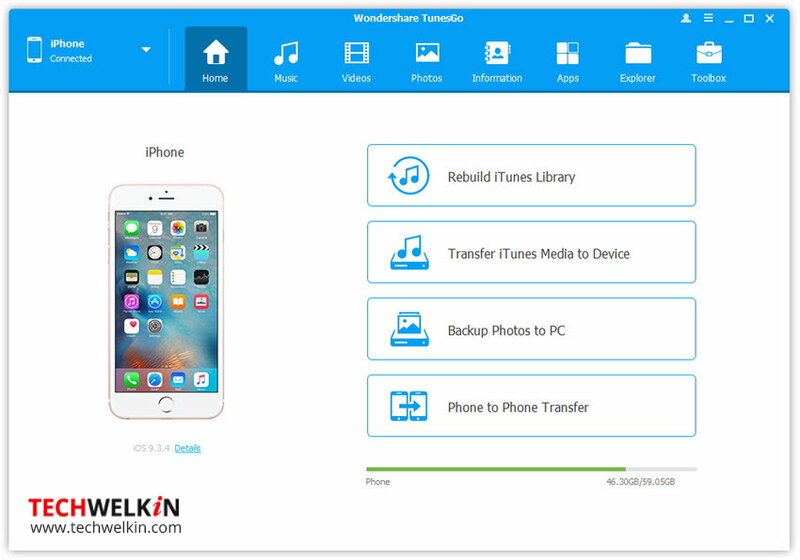 It provides excellent options to manage the media and data on your Apple device and includes easy backup and importing options. You can view the tracks if they are in your Tunes, or whether it needs to be copied. The Smart Export feature easily updates the iTunes library without deleting content using automatic syncing unlike iTunes. You can edit and create a playlist. TunesGo directly transfers information from one iDevice to another and thereby saves time. It optimizes the imported content for Apple devices and detects non-Apple formats, and converts them with ease. The free version of TunesGo is good and may meet most of your requirements but the paid version offers many more features. Swinsian is a sophisticated music player for Mac OS X with wide format support, folder watching and advanced tag editing and designed to be responsive even with the largest libraries. The art grid, column browser and track inspector provide multiple ways to view and navigate your music. They can also be hidden if you prefer a minimal interface. You can easily edit tags on multiple tracks at once. Regex compatible find and replace helps you keep your music correctly tagged. The powerful Duplicate Finder helps you find and remove duplicate tracks using flexible criteria to keep your library organized. You can control the playback easily with global shortcuts and the mini window. The customizable desktop art widget can decorate your desktop with details of the music you are listening to or you can disable it. However, it does not add music to an iOS device like the iPhone. You can download the trial version or buy it for $19.95. MediaMonkey is a music player and syncs with all kinds of iOS devices, so is an ideal replacement for iTunes. It also finds missing track information automatically and fills in those gaps, including album art. It helps you remove the duplicates, auto-build playlists based on your listening habits, record music from audio or video disks, supports most formats, and can sync music to iPhone, iPods etc. along with a number of other devices. MediaMonkey is available for free, but you can upgrade to its gold version to avail of the additional features. Last but not the least; it involves a steep learning curve and is also supported on Windows. SynciOS is a free alternative to iTunes and helps sync music, videos, photos, etc. from a PC to iPhone, iPod, and iPad. While importing the songs and videos to a device, it converts the incompatible files to iDevice friendly formats. You can backup songs, photos, and videos from iPhone, iPad, and iPod to PC. However, it lacks the ability to export music directly to iTunes Library. It is supported only on Windows. DoubleTwist is a simple tool that syncs all your media files with few clicks. The intuitive interface helps you to share your media files with other users. This software is another free alternative to iTunes with an optional paid version for additional features. The software is supported on Mac, iOS and Windows. PodTrans is a trimmed down version of SynciOS. It does not require an iTunes installation to transfer music to and from an iPhone/iPod. It does not delete the original files on the device during transfer. It has a built-in native music player too. The software is free and supported on Windows and Mac. 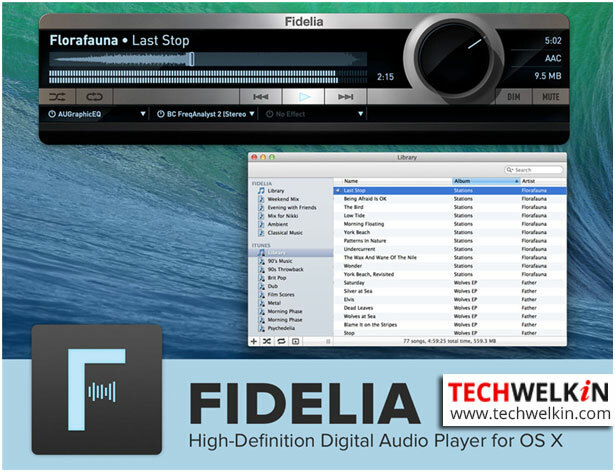 If you are looking for best quality music then Fidelia is one of the best iTunes alternative players. It combines sonic character and audio fidelity without compromising the audio waveform. You can import music from your iTunes library. It supports a range of high-quality audio formats, like FLAC, and offers high-fidelity sound for music lovers. It also converts audio files to preferred formats while importing to a library. It is a paid software and supported on Mac. Vox is another alternative for iTunes and offers seamless and easy integration with SoundCloud, and Last.fm scrobbling with ease. Vox too favors high-fidelity sound and that may compel you to play HQ tracks more often. 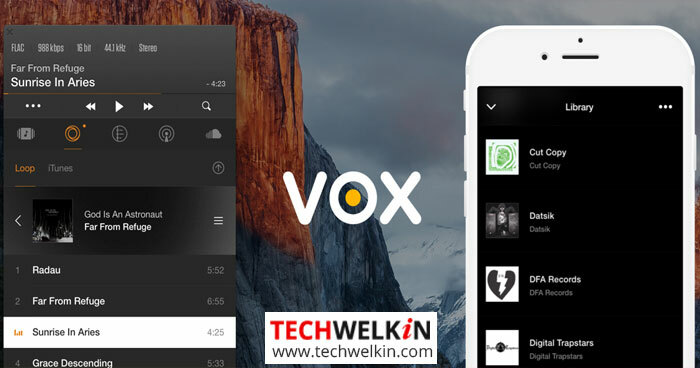 Vox is free to download and use, apart from the radio feature. It will remind you frequently to try its LOOP Music Cloud Storage, which gives you unlimited storage. It means you can upload as many files as you want and gives you access to your music wherever you go. LOOP is a paid service, and if you decide to use this service, do check the pricing applicable at that time. There are many more iTunes alternatives, like Tomahawk, VLC, Quod Libet, AIMP, Clementine, Windows Media Player, VLC, and Winamp. These alternatives are still the choices for many but it is not feasible to cover all in one article. The above-mentioned iTunes alternatives are robust and capable and the features will help you choose the best that matches your requirement. Do feel free to share your experience of using one or more of the alternatives. I have thousands of music tracks on my PC. Can i create playlists without iTunes (or any other player, for that matter) and transfer them to a disk-on-key, for listening, say, in the car? The point is, of course, that the car’s (state-of-the-art) multimedia screen will show the playlists.